Sears department store signage is seen Wednesday in Brooklyn, New York. Sears Holdings Corp. is adding a restructuring expert to its board, suggesting the ailing retailer may be preparing to take significant actions to survive or to protect its remaining assets. Sears, the fallen iconic American retailer, has reportedly hired an advisory firm to prepare a bankruptcy filing. The filing could come this week in anticipation of the company’s $134 million debt payment due Monday, the Wall Street Journal reported. The boutique advisory firm, New-York based M-III Partners, has spent the past few weeks working on the filing, the Journal reported. Still, the possibility of Sears’s demise has loomed for months, and people familiar with the arrangement told the Journal that Sears is still weighing other options. Neither Sears nor M-III Partners returned requests for comment. Sears shares were down more than 36 percent in midday trading Wednesday. The 125-year-old retailer has been hit particularly hard as brick-and-mortar stores have struggled to maintain massive showrooms and compete with e-commerce giants. But if Sears is now in touch with banks to secure the financing needed for a bankruptcy filing, as CNBC reported Wednesday morning, that could send the surest signal yet that such a move may not be far off. 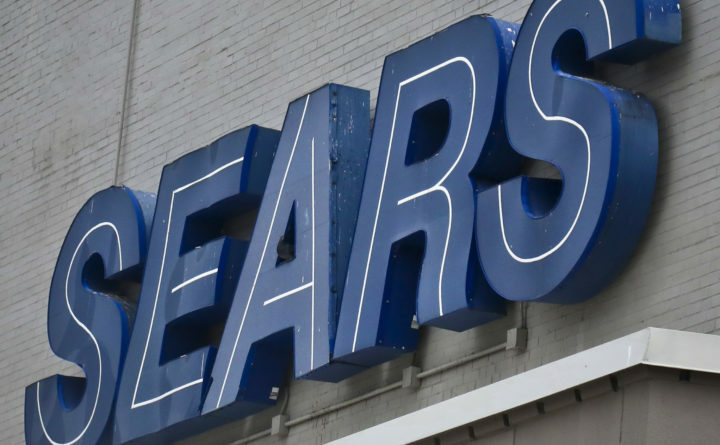 On Tuesday, Sears also brought in restructuring expert Alan Carr as a company director, broadening the six-person board to seven and adding further guidance on how to steer a large company through a bankruptcy filing. Just weeks ago, Sears chief executive Eddie Lampert devised a last-minute plan to save the retailer. The company has a total of about $5.6 billion in outstanding debt and is down to about 820 Sears and Kmart stores. When Lampert took over as head of the company five years ago, there were 2,000 stories. Lampert bought Sears in 2004 and merged it with Kmart, in which he had a controlling stake, the next year. Lampert — Sears’ largest shareholder and creditor and the owner of the hedge-fund ESL Investments — asked creditors last month to refinance $1.1 billion in debt before the Oct. 15 payment, according to a filing with the U.S. Securities and Exchange Commission. He also called on the company to sell off $3.25 billion in real estate and assets. Those include Sears Home Services and the company’s flagship Kenmore brand, which Lampert offered to buy in August for $400 million. Lampert himself has had a controversial tenure as chief executive. While much of his focus revolved around Sears’ online presence, upkeep on physical stores has diminished. Lampert’s strategy has often involved keeping Sears afloat with loans. In the September SEC filing, Lampert’s hedge fund said it “must act immediately to have sufficient runway to continue its transformation” if Sears could ever pull off a turnaround. Matt Kopsky, an analyst at Edward Jones, noted that Sears has not turned a profit since 2010 and that it has already sold off a majority of its brands, including Craftsman tools. The company owns roughly half of its real estate and has sold off most of its more valuable properties. The other half is leased, and there would be little cost savings from rent restructurings of those stores since Sears already pays well below market rents. Were Sears to liquidate, the remaining stores — which average roughly 140,000 square feet — would flood the market with “a lot of empty boxes,” Kopsky said. That kind of liquidation would be especially difficult for lower-tier malls and shopping centers hard-pressed to find tenants in low-demand areas. Kopsky credited Sears’ plunging share price to Wall Street pricing in an upcoming bankruptcy. Share prices of JCPenney, Kohl’s and Bed Bath & Beyond were up as of midday Wednesday, which Kopsky said was an indication that the market believes Sears will file for bankruptcy and that those retailers will benefit in the near term. “This has been the slowest moving train wreck happening for literally years,” Perkins said. Typically at the point of bringing in advisers, a company is evaluating a range of alternatives, including other restructuring plans or the selling off of assets. But even as Sears appears to near its “inevitable conclusion,” Perkins said its final demise will set a precedent for an iconic American brand that fell from the height of retail dominance.